Filtering out tiny fiberglass particles from process water is a critical part of the fiberglass insulation manufacturing industry. Producing fiberglass insulation requires the use of a lot of water for various applications throughout the plant. One critical area is the Quench Water. In the fiberglass insulation manufacturing process, rapidly moving air moves the small glass particles / fibers. These glass fibers are sprayed with a quenching water initially after production to cool them and solidify the glass. 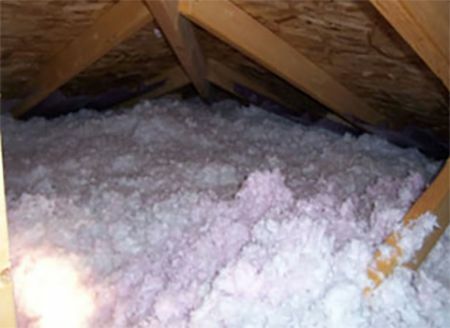 Glass fibers destined for batt insulation are also sprayed with a mixture of water and a sticky binding agent at this time. Air moves these glass fibers to various areas of the plant for making loose fill, batt insulation, etc.. Much of the quench water and binder water sticks to the fiberglass particles and then evaporates, but large volumes of excess quench water and binder water remain in this closed-loop process water system and it returns containing a high concentration of tiny glass particles. This water, which is continually recycled / reused, needs to remain as clean as possible at all times. This is where the CentraSep Centrifuge system comes into play. Various types of filtration units are used to clean this quench water and binder water, including shaker screen filters, filter presses, etc., but the CentraSep Centrifuges system is more efficient and effective than anything else. The CentraSep system filters out the smallest / finest of particles, eliminates the expenses of disposables, reduces labor and maintenance dramatically, and more, and all while “continually” processing the water. The centrifuge can process this water at varying rates depending on the need. As an example, in a 50,000 gallon system running continuously (24/7), the CentraSep system can drop the solids from a typical number like 24,000 ppm (parts per million) to an incredibly low 200 – 300 ppm, which is well below most companies’ needs, but that is the beauty and efficiency of the CentraSep system. Most importantly, the system “maintains” it at that level continuously. Also, the separated material coming out of the centrifuge is quite dry, like a damp stack of newspaper. This relatively dry solid material is easy to dispose of and requires no further processing. The CentraSep system is capable of this significant level of solids reduction, due to its unique, proprietary and patented design. The CentraSep unit is vastly different from all other industrial centrifuges. It is the only single-motor, vertical, self-discharging, automatic centrifuge on the market. It combines an innovative bowl/blade clutch design with a single AC motor and variable frequency drive (see cutaway illustration) to automatically extract particulate from virtually any liquid at a wide range of processing flow rates. CentraSep centrifuges are able to remove up to four times the quantity of solids / fines that traditional centrifuges can. Also, every component of the CentraSep system that comes into contact with the process fluid is 316 stainless steel, so harsh acidic and caustic fluids, as well as hard and extremely abrasive materials like fiberglass fines, can be processed safely and effectively. Maintaining a clean, low ppm level of solids in the quench water and binder water allows the manufacturing process to be as efficient as possible. In insulation manufacturing plants that do not have CentraSep equipment, they often experience an ineffective and inconsistent filtering process, which also leads to production inefficiencies and shutdowns, as well as very expensive and time consuming cleaning processes. Dirty water sump pits can build up glass particles until they have to be manually cleaned, which is a costly process that entails stopping production and replacing very large amounts of water (possibly 30,000 – 50,000+ gallons). Also, with more fine glass particles in the dirty sump water, the shaker screen filters and/or filter presses are continually clogging, as are the air scrubber spray nozzles. These issues require a lot of costly manual cleaning, which means more production issues, inefficiencies and shutdowns. Thus, the payback / ROI on a new CentraSep system is often less than one year, and then those cost savings continue in all subsequent years, adding up to a very substantial sum of money saved by the company. And of course this cost savings is in addition to the increased productivity, loss of downtime and the overall increased efficiency of the plant’s entire production process. Talk to one of our Engineers today to see how we can help with your fiberglass insulation process water filtration and separation needs.